At the beginning of the 19th century the bathing industry experienced major growth. One of the most important events was the realization of the "Stabilimento bagni" project promoted by the young Doctor Claudio Tintori and the Counts Alessandro and Ruggero Baldini. It was connected to a wooden stockade building about twenty meters from the sea. There were wooden stairs to let people go into the water. 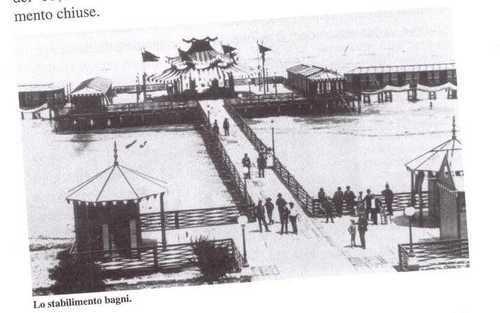 Later in the 1870, the old Stabilimento Bagni was taken down to build a new one, the Kursaal promoted and inaugurated by Gaetano Urbani in 1873 which became the centre of social life. The German word "Kursaal" means treatment room, in fact the only cures consisted of leisure, dance and relaxation. Unfortunately due to the unrest leading to the Unification of Italy, the cholera epidemic of 1855 and the flood of the river Marecchia in 1866, the Stabilimento closed. From 1869 to 1876 the scientist-writer Paolo Mantegazza, famous for his ability as researcher and promoter moved to Rimini where he became, with great satisfaction, the director of the Stabilimento bagni. 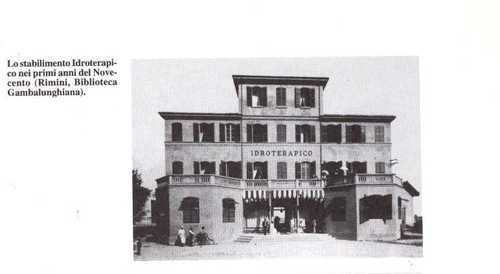 He decided to realize the project of a new building "Stabilimento Idroterapico" ( later directed by the Doctor Augusto Murri) once situated were nowadays there are Paolo Mantegazza and Augusto Murri's busts aimed to the marine water treatments which signaled an important success for Rimini. At the beginning , as tourism grew, the sanitary aspect and with it , the doctor’s role was extremely important because of the spread of many diseases diffused in this period. However, very soon doctors recognized the beneficial effects of Hydrotherapy. 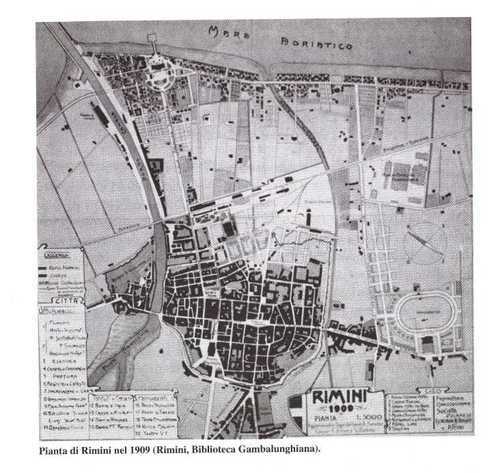 This resulted in the opening of other Stabilimenti in the suburbs of Rimini ,Riccione and the rest of Italy. 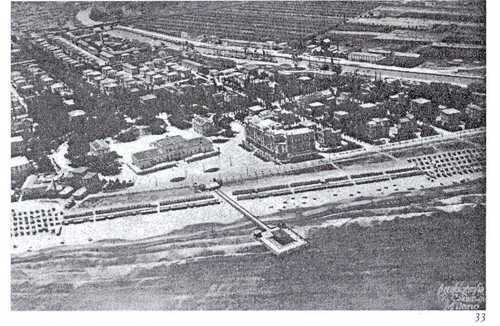 In 1948 all the buildings were destroyed by the first socialist administration of World War II to eliminate the symbols of upper and middle-class tourism which had characterised the evolution and the success of Rimini for more than a century1.